A recent inquiry from one of our front line CSS engineers had me look into how case sensitive collations decide the sort order. Consider a simple question like How should the values 'a 1', 'a 2', 'A 1' and 'A 2' sort? 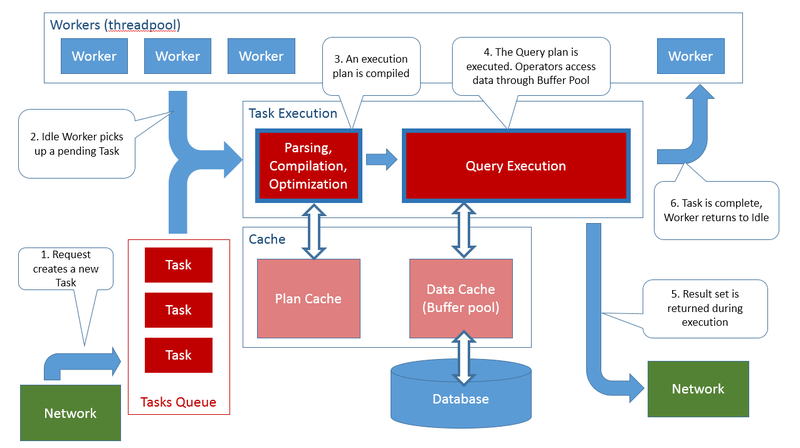 Every record in the SQL Server transaction log is uniquely identified by a log sequence number (LSN). LSNs are ordered such that if LSN2 is greater than LSN1, the change described by the log record referred to by LSN2 occurred after the change described by the log record LSN. There are several places where LSNs are exposed. For example sys.database_recovery_status has the columns last_log_backup_lsn and fork_point_lsn, sys.database_mirroring has the mirroring_failover_lsn column and the msdb table backupset contains first_lsn, last_lsn, checkpoint_lsn, database_backup_lsn, fork_point_lsn and differential_base_lsn. Not surprisingly all these places where LSNs are exposed are related to backup and recovery (mirroring is a form of recovery). The LSN is exposed a numeric(25,0) value that can be compared: a bigger LSN number value means a later log sequence number and therefore it can indicate if more log needs to be backed up or recovered.